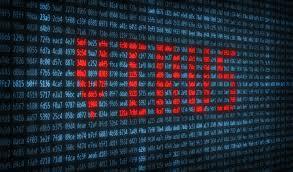 Accueil » Blog » IT security » Cyber security risks put 1/3 of SME’s at risk, according to a study by the UK government. Cyber security risks put 1/3 of SME’s at risk, according to a study by the UK government. I often come across cybersecurity risks when meeting with small and medium-sized enterprises (SMEs) managers. Very often, I am confronted with their misunderstanding of the threats posed by these risks and the serious damages they can cause to SMEs. The justification given by some managers: « I am neither rich nor famous, my SME is too small …. I’m not an interesting target for a hacker. This will not happen to me » is only a myth. Many potentially very damaging attacks are not targeted. This is the example of ransomwares (malwares that take hostage all your data). The choice of a target also depends on the level of protection and estimated earnings. Thus, a company with little or no protection can be targeted despite a low pecuniary potential. Economic intelligence is also a reason for attacks and mainly in the world of SMEs where innovation is very present. This apparent lack of proper risk assessment leaves many small businesses vulnerable to loss of valuable data and collateral effects: loss of revenue, loss of customers and damaged reputation. You can never 100% avoid all the risks associated with cybercrime but most online attacks can be avoided or detected with basic security practices for your staff, processes and IT systems. These security practices are as important as locking your doors or putting your money in a safe. You can manage your online security in the same way that you protect any other aspect of your business. Companies that invest in cyber security will benefit from it as it will become a requirement for customers to work only with vendors that invest in information security.